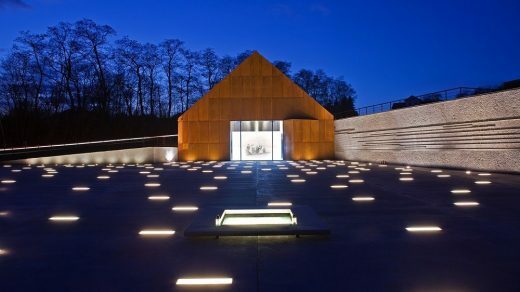 The Ulma Family Museum of Poles Saving Jewish People during World War II in Markowa is Poland’s first institution commemorating Poles who helped Jews. 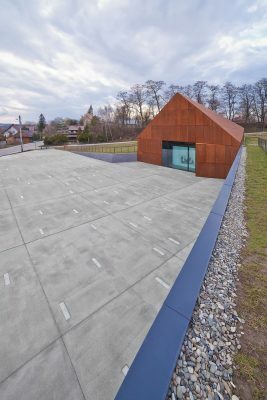 The museum’s ascetic architectural form that cuts into the ground, as well as the exhibition hidden inside, was designed by Nizio Design International. The museum was opened March 17, 2016. 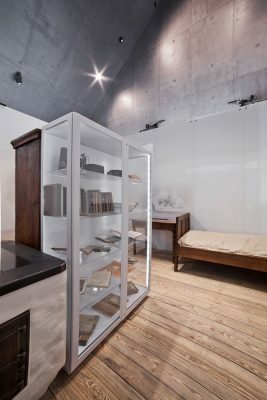 Within the museum’s layout composition it is not only the form, but all the other elements, too, such as texture and material, that are to express the content related to the museum’s message. The minimalist, abstract architectural forms that have been applied here trigger certain feelings in visitors. 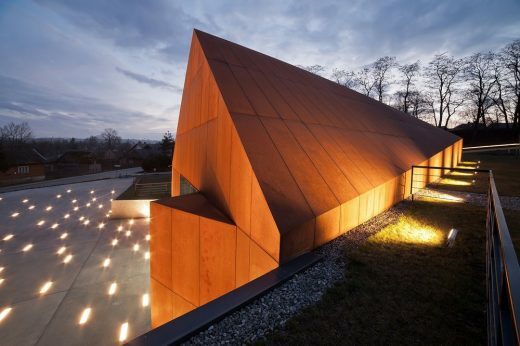 The ascetic shape of the building is reminiscent of a house. The symbolic vision of home, which is associated with love and security, was confronted by the designers with compositional forms that express anxiety and threat. 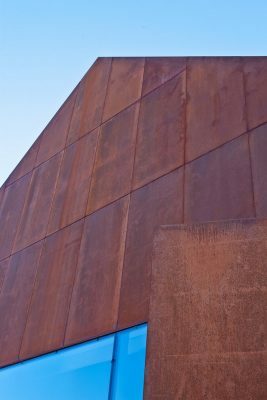 The building of reinforced concrete has facades clad in weathering steel sheets which develop a rust-like appearance indicative of the passage of time. With the architectural form being recessed in the terrain and with the materials used, the building blends in with the surroundings and amalgamates with them. For becoming a part of the context of the village and the broader history it reminds visitors of the history and life of the pre-war Markowa. Not only does it refer to the time of the Shoah, but also reveals the unchanging nature of being, against the odds of fate and history. 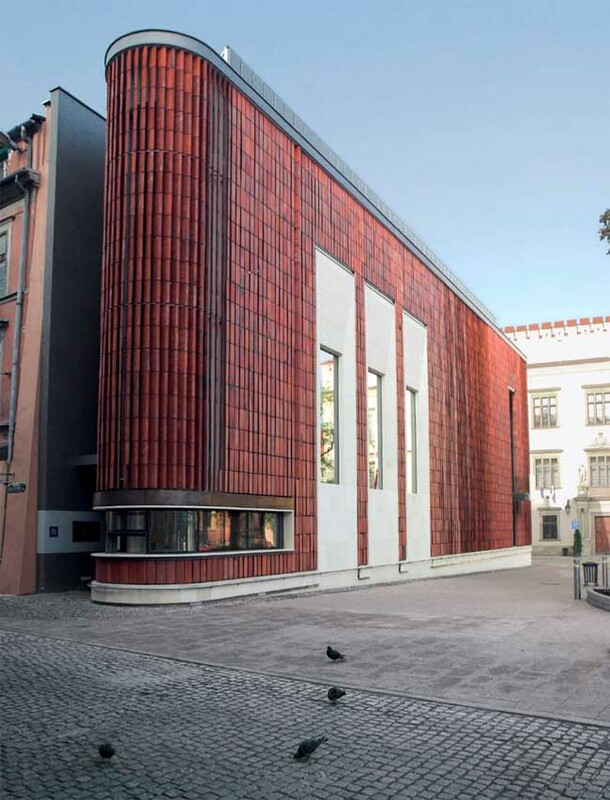 The partially glazed facade of the museum is a gate that is simplified to the form of a sign. 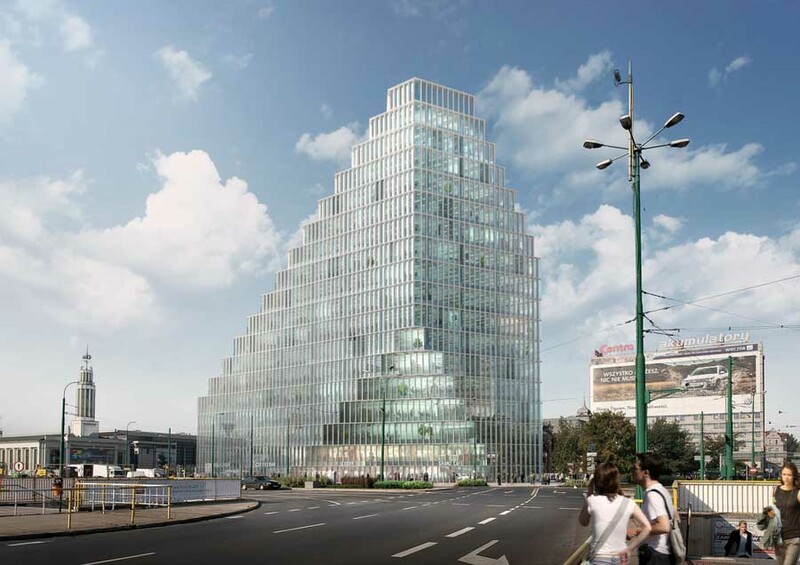 Inside the museum there is twilight, illuminated by the glow of light coming from the heart of the building, which is a glass cuboid symbolising the home of Józef and Wiktoria Ulma, as well as the homes of thousands of Poles who risked their lives to help the Jews. 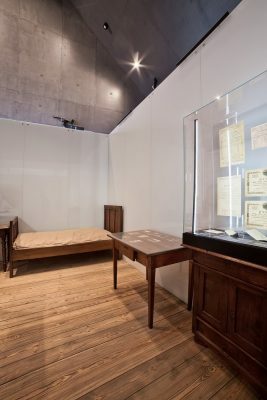 The exhibits include the original furniture, woodworking shop, beehive, books, Józef Ulma’s cameras and family documents. Within this space displayed are projections that bring back the scenes from everyday life of the married couple and their children. 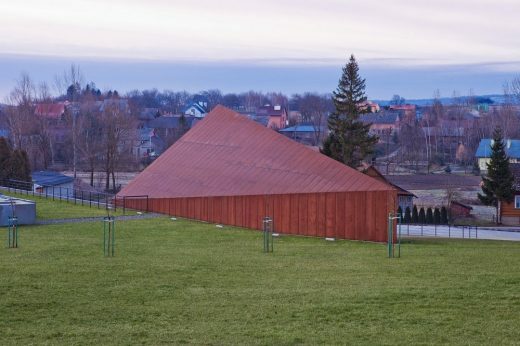 The symbolic home of the Ulmas is perched on a steel substructure, the walls are finished with safety glass covered with engravings on film substrate. The wall on which projections are displayed is covered with anti-reflective film. The floor is made of pine boards with brushed and aged surfaces. 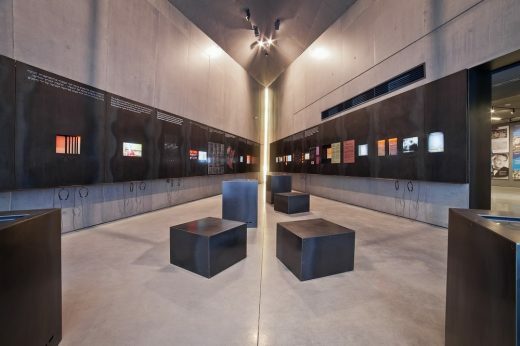 The viewing path of the museum leads around the cuboid and across the 7 thematic sections, where the story is told through artefacts, documents, photographs, and materials presented at manual and multimedia stands. In the middle of the exhibition room are 4 infoboxes in the form of steel cubes with touch screens and seats. 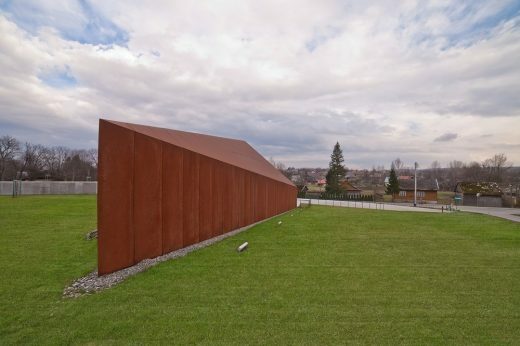 All elements of the exhibition are arranged so as to tell the story of the shared past of Poles and Jews in the context of the tragic time of war. 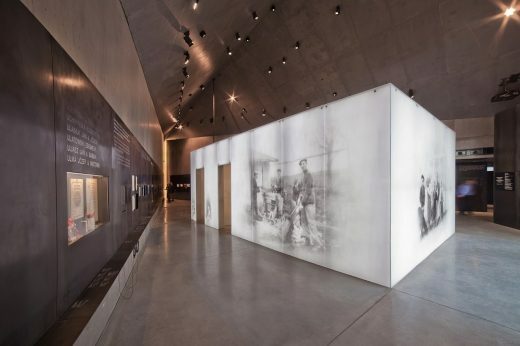 The interior of the Museum is kept in simple and monumental poetics of concrete walls. Its culmination – at the back of the exhibition room – is the illuminated vertical and sharp gap which symbolises the narrow gate that leads through the incomprehensible area of death. 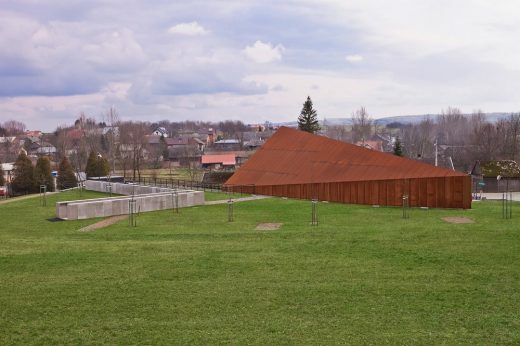 The sharp wedge-shaped structure of the building cuts into the terrain behind the house, where the designers have located the Memory Orchard planted with apple, pear, and plum trees and which refers both to Józef Ulma’s orchard and the Olive Garden of the Righteous at Yad Vashem. 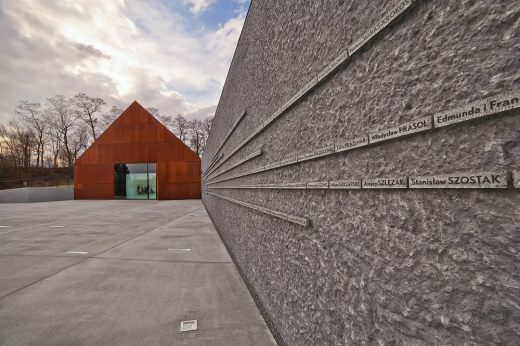 On the monumental wall adjacent to the plane of the yard symbolising a cross-section of the soil placed are sandblasted granite plaques featuring the names of the Poles who saved Jews. Then, “embedded” in the very plane of the yard are highlighted plaques with the names of those who lost their lives for saving Jews. The density of the illuminated plaques increases towards the entrance to the museum. 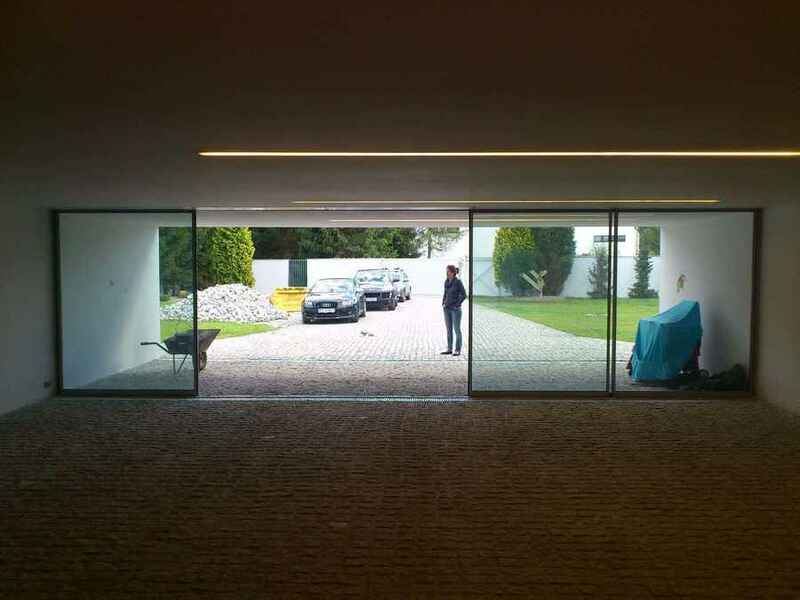 On the plane of the yard, like boats on a river, they form a peculiar procession of travelling lights that approach the threshold of the gate that is symbolised by the house elevation. 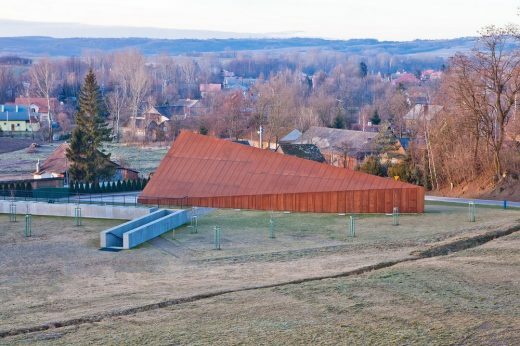 The museum building occupies the site by the main road running through Markowa and commemorates the events of 24 March, 1944. During World War II in Markowa Nazi gendarmes shot Wiktoria and Józef Ulma, their six children and the Jewish families they had been hiding. 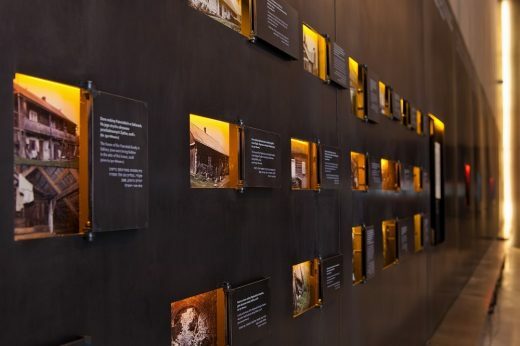 In 1995, the Israeli Yad Vashem institute granted the Ulmas the title of the Righteous Among the Nations. 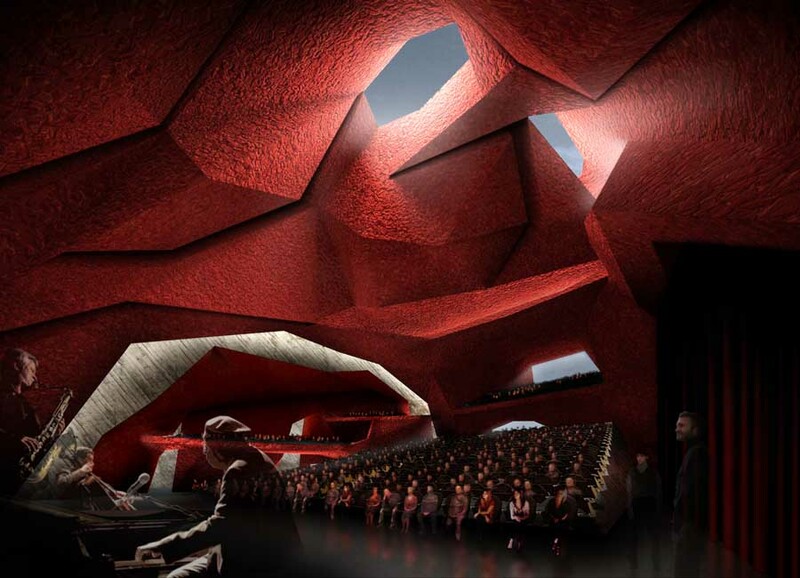 In 2009, out of 25 designs submitted for the contest, the jury selected the proposal put forward by Nizio Design International.